The notion of the Hood Canal changing as much as 7 Degrees Celsius in one year is just mind boggling. The story of the frog in the pan of boiling water comes to mind.So when do we reach the tipping point and find the Sound is dead? And what will help you come out to help? A good place to start is at our elections in a few weeks. Voting for the people listed on the front page of this blog, under the tab 2016 Elections, will help ensure that we have leadership that believes in global warming and is willing to work to fix this problem at all levels of city, county, state and national levels. We are running out of time. 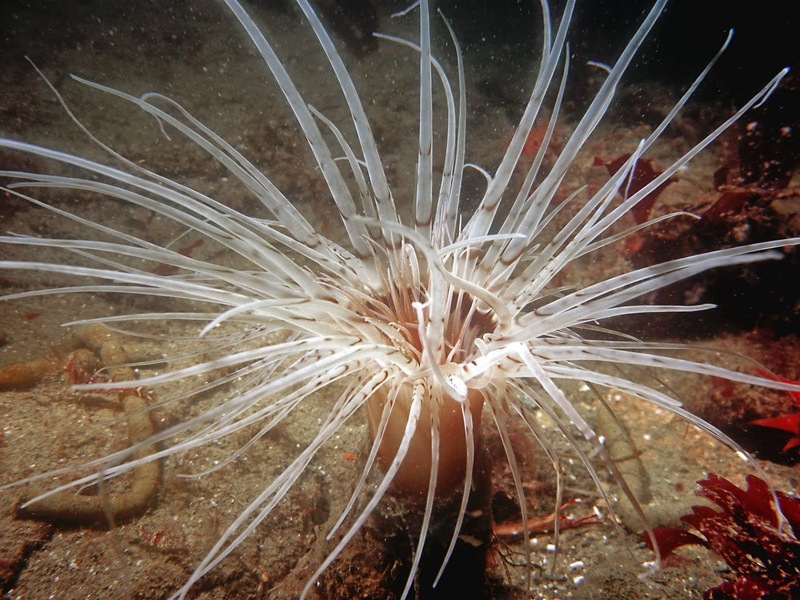 Diver Bruce Kerwin brought back this fabulous photo of a tube dwelling anemone at Sund Rock dive spot on Hood Canal. A good example of the beauty worth protecting in the waters below us. Awards and recognition for citizens getting together to fix environmental problems in their area of Hood Canal. Congratulations people. You are doing good work!